Steve began his career in 1987 working as a set medic and then worked his way into special effects and stunts when he saw people getting hurt because of their lack of knowledge about science. Throughout his career, he has worked with Tom Cruise, Tom Hanks, and many other stars on movies such as Castaway, The Firm, The Client, Crocodile Dundee II, etc. In 1992, Steve started working with schools to figure out how to make science more exciting for kids. This is when he developed Science in the Moviesand created a 1-hour show demonstrating a half dozen stunts and special effects. The stunts and special effects are used to show students the science used and how science makes it all possible. Students get to see, firsthand, that science is more than just a "subject in school" – science underlies what makes their favorite movies fun to watch. HOW DO YOU MAKE IT RAIN? It’s really just plumbing - open up a fire hydrant, run it through a hose into a big nozzle that is held up in the air by a big crane. Much the same as a lawn sprinkler system, just done on a much bigger scale. I determine what area needs to be covered for the scenes and then make it happen. HOW DO YOU MAKE IT SNOW? 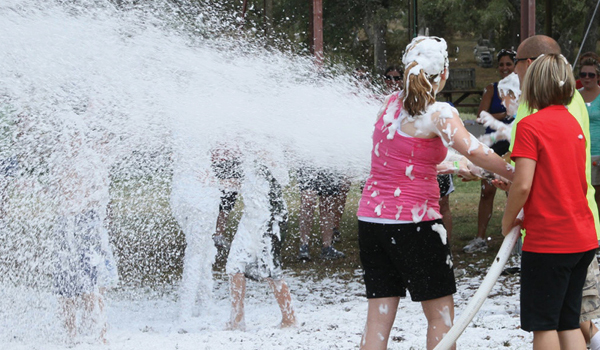 I invented a machine that creates a foam that looks just like snow and is somewhat like shaving cream. It comes out of a fire hose at 70 mph. To make it, I use a special kind of soap plus water and air to make foam. It comes out of a giant easel-towered compressor and stays put until it evaporates. The scenes take a while, so having "snow" last a while is very important. HOW MANY WAYS ARE THERE TO BLOW SOMETHING UP? A Lot! Blowing something up by definition is just pressing up with gas. The gas can come from a chemical reaction or you can get it from high pressure gas that you leak suddenly. Explosives are just fast chemical reactions that use a lot of energy. WHAT IS THE STUNT YOU WILL ALWAYS REMEMBER? Full body burns! Put an Insulator (Zel Jel) all over body that is capable of withstanding a tremendous amount of heat before any heat is transferred to you. ZelJel was invented by my mentor and friend, a scientist named Gary Zeller who won an Academy Award for his invention. Dr. Zeller was a special effects coordinator with a PhD in Polymer Chemistry. I was fortunate enough to have studied under Dr. Zeller for 3 years. Dr. Zeller has had the most influence on me throughout my career. He patented dozens of different inventions through the years. Dr. Zeller created an inventitorium in his home and now I have re-created this in my own home as a place to experiment with science. WHAT OTHER TYPES OF SCIENCE DO YOU NEED TO KNOW IN YOUR JOB? It is also important to know about chemical reactions to make the special effects, as well as, the human anatomy. When performing stunts, it is very important knowing how much kinetic energy a body can withstand before it fails somehow. Speaking from personal experience, Steve believes that “By kids learning a little bit of science, it can lead to extremely exciting career inventions.” Steve never thought learning science in 2nd and 3rd grade would lead to working with Tom Cruise! He considers it a big honor to work with big stars because these movie projects have big budgets that could hire anyone in the world. Steve also loves supporting teachers because, in his words, "they do the most important jobs on the planet." 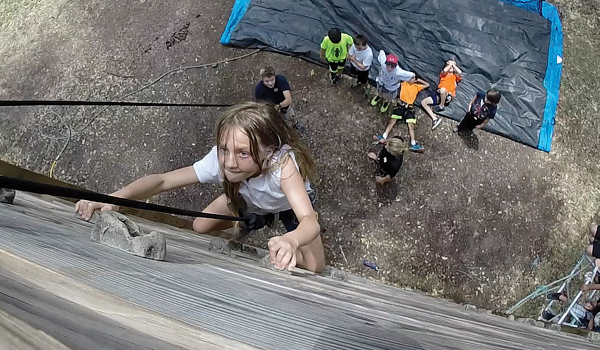 Steve’s love for science and his belief in the importance of introducing young people to science at an early age have led him to open Stunt Ranch, in Austin, TX, where students can come experience the Science in the Movies. He also offers this experience as a mobile version which he can bring to any school. This program offers schools an experience called Science Day where they put on a whole Stunt Festival for kids to play and learn. Steve says they have traveled as far as Barrow, Alaska, to the farthest North elementary school on the planet. Since beginning his education program, Steve has performed over 5,000 Science Days. If you’re interested in having Science in the Movies come to your school, email Steve Wolf. 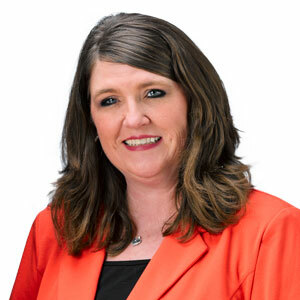 He also offers Professional Development for teachers where they show exciting examples to help get students more excited about science. 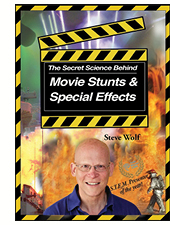 If you would like to read more about Science in the Movies, check out Steve’s book titled, The Secret Science Behind Movie Stunts & Special Effects which also has a teacher workbook with activities to support the book. Key science topics covered include: States of Matter (Solids, Liquids, Gases); Changes in States of Matter (Phase Changes); Properties of Matter (Conductivity, Density, Insulation, Resistance, Viscosity, Flammability, Reactivity, Tensile Strength); Chemical Reactions; Chemical Energy; Electric Circuits; Fire Dynamics; Mechanical Advantage; Work vs. Effort; Pressure & Force; Temperature; Simple Machines (Levers, Ramps, Wheels, Axles, Screws, Wedges, Pulleys); Compressability of Gasses; and Thermodynamics (Conservation of Energy, Conduction, Convection, Radiation). Key Safety Topics covered include:Drugs & Alcohol; Seat Belts; Home Fire Safety Plan; Stop, Drop & Roll; Anti-Smoking; Lightning Safety; Healthful Eating; and Don't Try This at Home!